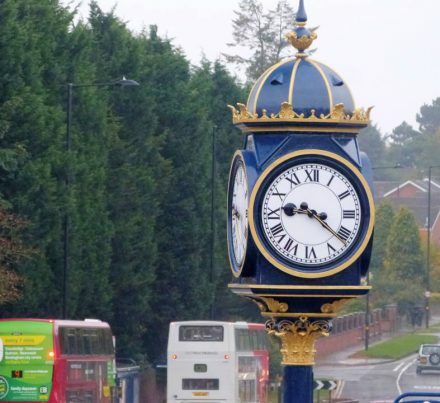 The local community are delighted with the joint venture of Birmingham City Council and Sandwell Metropolitan Borough Council to repatriate the ‘Kings Head Clock’ back to its original site on the land at the junction of Hagley Road and Bearwood Road, now improvements to the junction have been completed. The clock was one of Birmingham’s prized ‘Chamberlain clocks’, installed outside the Kings Head coaching station in 1900. 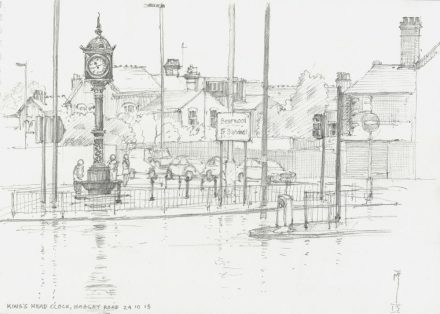 In 1971 it was removed for road widening, and for the last few decades has stood looking slightly forlorn and out of place on High Street, in the centre of Birmingham. Originally with its gas-lit dials and horse trough, the clock helped to service and monitor first the trams, and then the buses, plying the routes through Bearwood and Harborne. 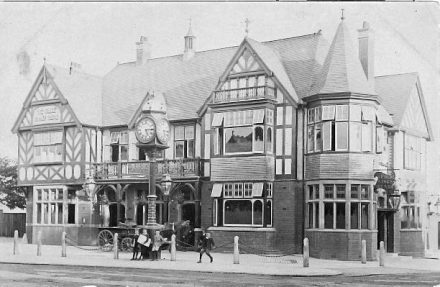 When the King’s Head became a major stop-off point on the Outer Circle bus route in the 1920s, such a clock was much in demand. 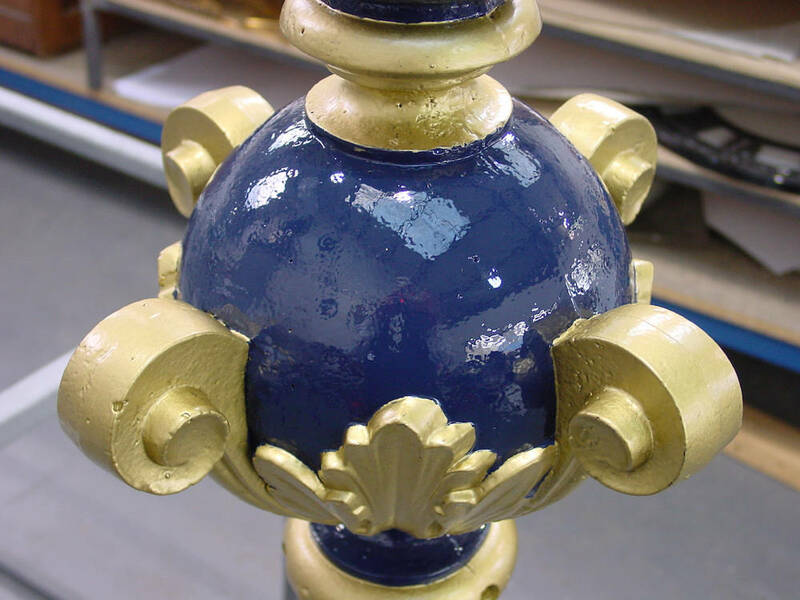 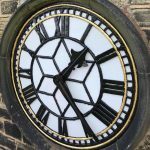 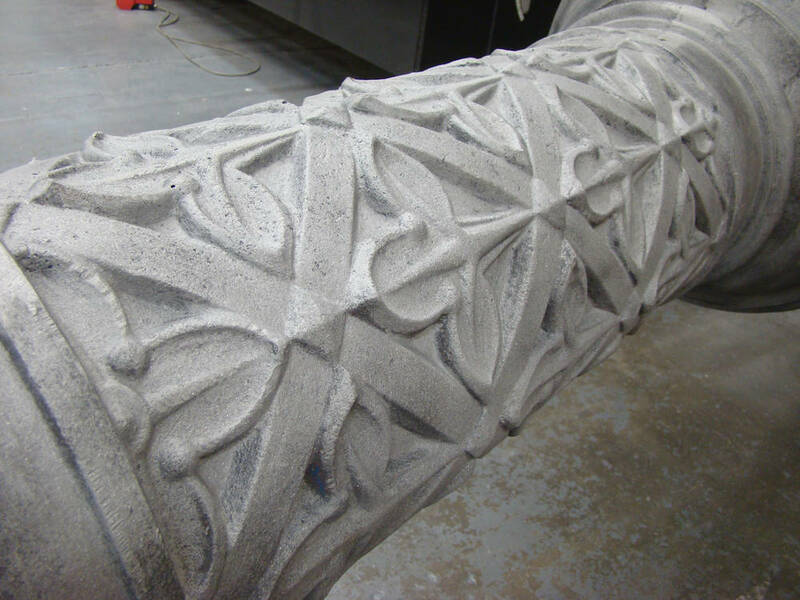 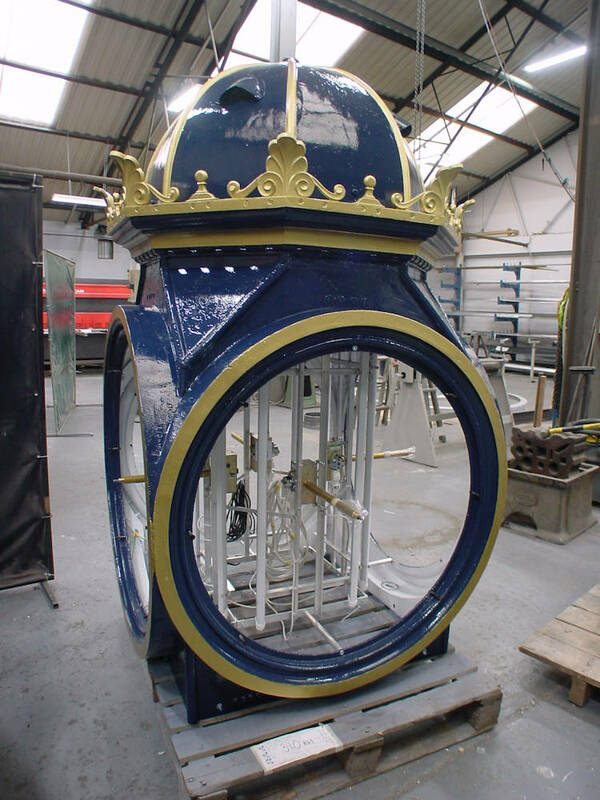 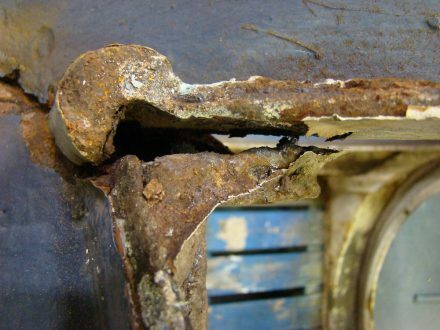 We carried out an extensive restoration of the clock entailing completely stripping the paint by blasting with glass beads, applying zinga primer, undercoat and finishing in a high quality dark blue gloss. Features were then highlighted by hand-painting in gold and black paint. 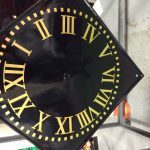 The clock housing at the top, has been rebuilt, the lighting fitted behind the dials with a controller to operate daylight saving.